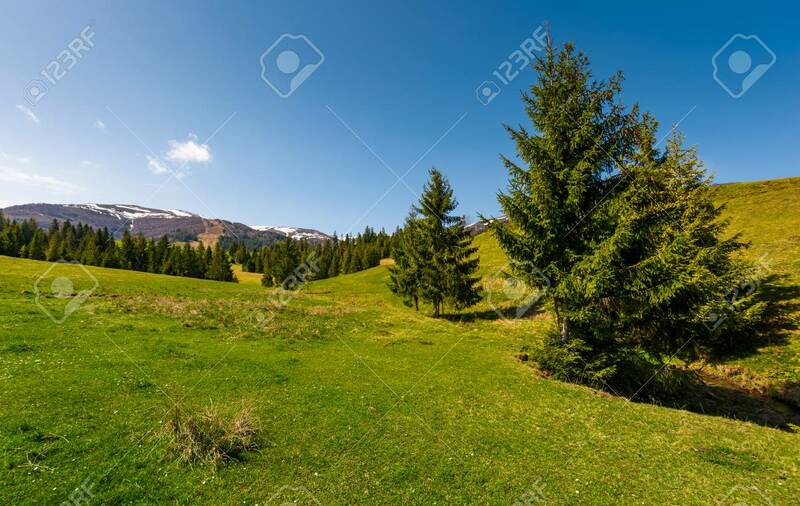 Coniferous Forest On A Grassy Hillside. Lovely Springtime Scenery.. Stock Photo, Picture And Royalty Free Image. Image 97521445.